I will be the first to admit that I am not a huge fan of Valentines Day. This is thanks to growing up in Daytona Beach when NASCAR race week always fell on the Hallmark Holiday. Our city was already packed full of people and you could never get a reservation on 2/14. These days, if Gabe and I do anything, it's typically low key. When we were discussing Valentines Day the other night, he suggested that we do dinner on the 13th and go gambling at Hard Rock afterwards. Then I received a press release from Seminole Hard Rock and Casino with Valentines Day offerings. Apparently my husband was onto something. On Saturday, February 14, the casino will be offering a Romance Package (plus room rate) to allow guests to unplug, tune in and enjoy quality time together in luxurious accommodations. For $195, the Romance Package includes a room decorated with silk rose pedals and votive candles; a bottle of sparkling wine delivered upon arrival; a customized romance letter for the special occasion; an assortment of bath and body essentials (bath salts, body wash, body scrub, facial hydrating mist and bath/body massage oil); as well as musical entertainment upon arrival. Council Oak Steaks & Seafood and Fresh Harvest will be offering special menus for the night of romance. 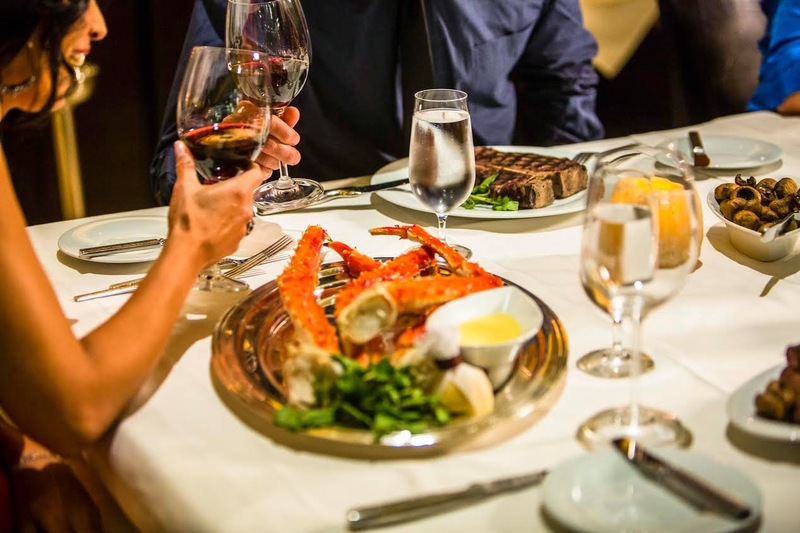 Our favorite restaurant Council Oak Steaks & Seafood will have Valentines Day menu, including a Roasted Red Beet Salad appetizer; Dover Sole Meuniere and a 48-ounce Porterhouse for two. They also will have a “Passion” dessert consisting of deconstructed red velvet cake, cream cheese gelato, pecan praline sauce and chocolate tuile. Fresh Harvest is offering a Surf & Turf Valentines Day buffet offered from 4 p.m. to 10 p.m. for $40 per person. An extensive list of mouth-watering items will be available including Seafood Paella Marinara; Prime Rib; Braised Pork Shanks; Alaskan Crab Legs; Coconut Eggplant; and Sweet & Sour Chicken, along with a dazzling array of hot and cold desserts. Hard Rock Cafe is hosting a “Cupids Stupid Heartbreaker Bash” on February 14 from 11pm to 4am for those who want to “forget about their ex.” Tickets are $20 at the door and half off for ladies. From now through the end of February, Rock Spa is offering specials honoring Valentines Day. If you haven't made it to Rock Spa yet, I strongly suggest a visit. My experience there was amazing. The "Be My Honey", Coconut Milk & Honey Body Ritual will be offered for $149 (80 minutes). Guests can indulge themselves in a luxurious blend of Fijian honey and fresh coconut milk. This ritual will hydrate, nourish, firm and strengthen the skin. Begin with a sugar exfoliation followed by a wrap to firm and tighten the skin. A Fijian scalp treatment concludes the ancient beauty ritual leaving the body soothed and replenished as sweet as honey. Rock Spa guests can also choose a Cupid’s Cocktail, Spiced Rum & Honey Pedi for $69. This cinnamon-sweet and butterscotch-caramel cocktail treatment includes a relaxing soak in red hot sparkling oil made with grape seed and olive fruit oils for an antioxidant treat that moisturizes and soothes winter feet. Next, a butter rum sugar scrub polishes rough skin leaving a smooth revitalized surface. Then, a hot honey, glaze drizzle and wrap seals in aloe, honey and live papaya fruit cells to provide deep hydration.